Alexei’s decision of how much to study is constrained by the feasible set of combinations of free time and grade points. So he faces a trade-off: to get a good grade at the end of his course, he has to give up some free time. The marginal rate of transformation (MRT) measures the size of the trade-off. Here we show how the MRT can be calculated from the production function. Figure 1 shows Alexei’s feasible set. Recall that we constructed the feasible frontier using a production function that relates exam grade to hours of study. Figure 1 How does Alexei’s choice of free time affect his grade? where is his output (the exam grade) and his hours of study, and is an increasing function. The meaning of the MRT is as follows: if free time increases by a small amount, say hours, the exam grade decreases by approximately grade points. Figure 2 shows the feasible frontier for the production function (which has a similar, but not identical, shape to Alexei’s feasible frontier). The lower panel shows the MRT, which rises as we move to the right along the frontier, increasing free time and lowering the exam grade. 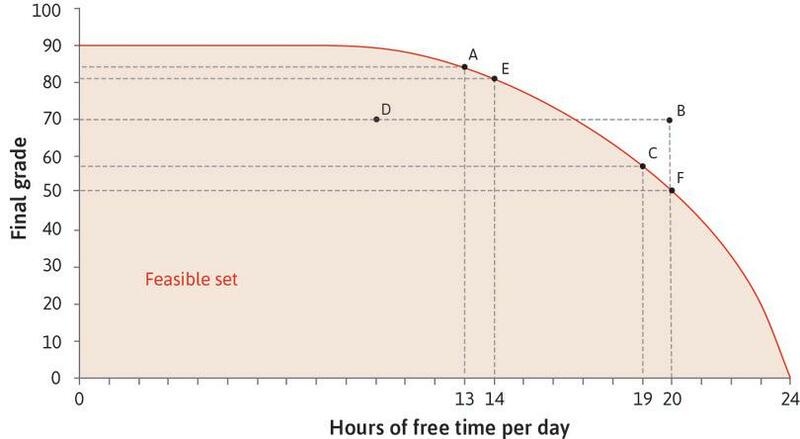 To summarize, the MRT measures the rate at which grade points have to be given up if hours of free time increase, and can be found by simply differentiating the production function. Since the number of hours of study is equal to , the MRT is the same as the marginal product of labour is a decreasing function of , it rises when falls. The feasible frontier , and the corresponding marginal rate of transformation. 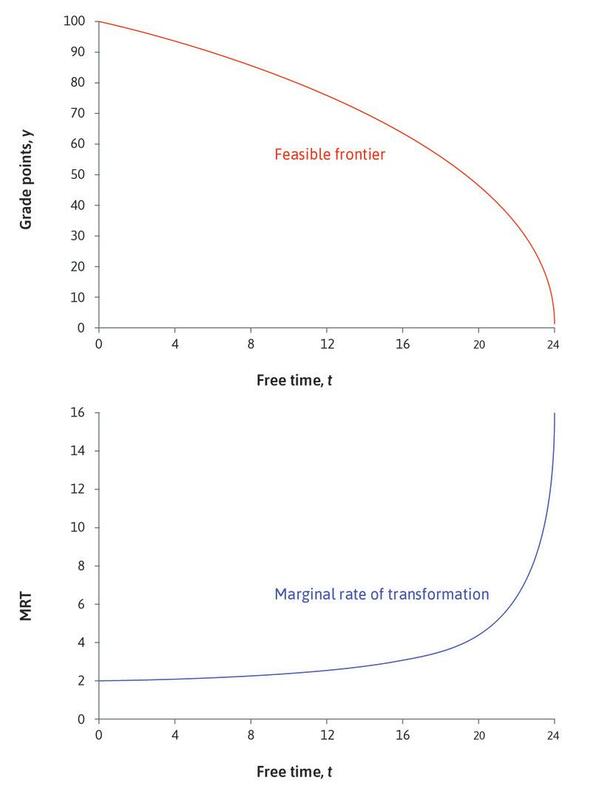 Figure 2 The feasible frontier , and the corresponding marginal rate of transformation.